ChrissTinslay.com > Blog > Healthy eating > A personal story about my (fat) start into the fitness industry. A personal story about my (fat) start into the fitness industry. Someone asked me the other day if I have ever been over weight. Quite a personal question really and it got me thinking about the past … all the way back 20 years ago. I had always been a bit of a “skinny” kid and the thought of how to lose weight never crossed my mind. However in my early 20’s everything changed. That was the time when I thought I knew everything, but really had no idea about anything. I had moved out of home and away from Mum’s home cooking. I had no clue how to cook for myself and I definitely didn’t enjoy it (still don’t). Take away meals were a regular occurrence. Little by little, the weight crept on. I didn’t notice at first. It wasn’t something that was on my radar. I hardly ever weighed myself, I didn’t even own scales. My clothes were getting tighter, that’s for sure. It was 1995, around the time of low waisted jeans and midriff tops (Oh the good old days). My low rise jeans were bright red with silver buttons. My once flat tummy was spilling over the top and that was on a good day. Some days my jeans would not do up at all! The number on the scales was 10kgs more than I expected to see. My heart sank. I had been in denial before that, but seeing it in black and white was quite a shock. I couldn’t find a full length picture from 20 years ago. This old head shot was the only pic I had. Pretty sure it gives you some idea of what I am talking about. I was working at a gym after all. A couple of weeks exercising will do the trick. My bloated flabby tummy would be taken care of. Phewww, I was relieved. I asked one of the trainers to write me the perfect exercise program that would transform me from flabby 25yr old into some sort of super model. **That is honestly what I thought would happen. So funny to remember now. What do you think happened after 4 weeks, 6 weeks, 8 weeks ?? Scroll down to see my 8 week transformation pic. After 8 weeks of exercising most days of the week, this is what I looked like..
No weight loss. No major body changes. Definitely no transformation into a super model. Oh I am sure I was fitter and healthier, but honestly the 25yr old me didn’t give a crap about that. I wanted to look HOT. For Part 2 click HERE !! ** You may notice that I used the word “fat” in the title of this post. Fat is a relative term, there are many arguments about the word that I will not get into here. I use the word here because to my 25yr old self… Fat, flabby, tired and sad are all words that I would have used to describe myself back then. 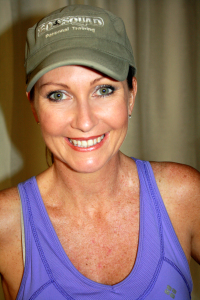 With almost 20 years experience, Chriss Tinslay is one of Australia’s leading Personal Trainers. Chriss started her career into the fitness and personal training industry in 1994 as a receptionist at the local gym she attended and loved. She quickly went on to become qualified and registered as a Master Trainer with Fitness Australia. Over the last 20 years Chriss has helped 1000’s of people transform their bodies and lives. 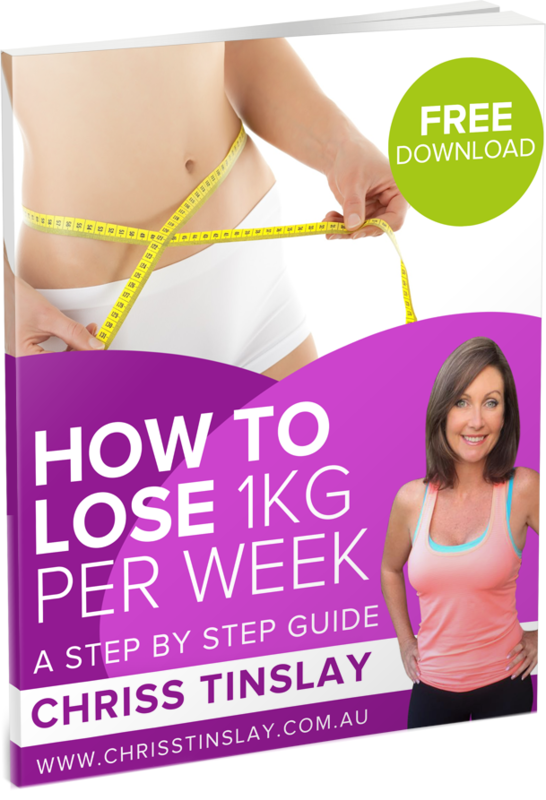 Chriss has appeared in the biggest loser DVD series, Mornings with Kerri-Anne and has written her first short book “15 weight loss secrets that you need to know”. She runs regular face to face and online fat loss coaching programs. Chriss believes that fitness and fat loss should fit into your fabulous life, NOT take over it. You can connect with her on Facebook where she shares useful tips each and every day.